Reasons why you should consider getting renter’s insurance. If you rent your home, renter’s insurance should be very important to you. However, too often we have clients that think that they don’t need renter’s insurance, even though they rent property to live in. This coverage provides a whole host of benefits for the policyholder, working to keep finances and assets safe. Here are a few reasons why you need renter’s insurance. Landlord policies do not protect tenants. Your landlord’s insurance policy is for the home and other structures – it does not include your own property or liability concerns. Because your landlord doesn’t have an insurable interested in your property, you’ll have to purchase renter’s insurance to keep your personal possessions safe. If your rental property is damaged in a natural disaster or is the target of theft, renter’s insurance can step in to help. Covering many accidents and disasters, you can safeguard your property with this coverage. If your property causes damage to the property of someone else, a renter’s policy will pay for the damages. This could be something like a broken mailbox or accidentally breaking a neighbor’s window. Bodily injury liability is part of renter’s insurance. If someone other than an immediate family member is injured as a result of you or your personal property, the medical costs would be covered under a renter’s insurance policy. If your dog was to bite a guest, this coverage could also cover medical expenses and costs associated with a lawsuit, if the guest was to sue you. Renter’s insurance can cost pennies a day – all for reliable coverage! Remember, without this coverage, you are responsible for replacing all of your belongings out of pocket. Are you ready to get started? 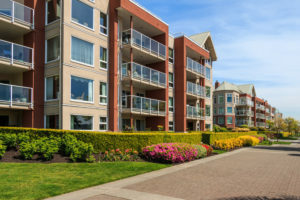 Visit the experts in the industry at Abbate Insurance, serving New Haven, Connecticut with reliable renter’s insurance.